The CAbi Clothing Scam? Or... The CAbi Clothing Opportunity? It's Legit! The CAbi Clothing Scam? Or… The CAbi Clothing Opportunity? It’s Legit! If you're not sure what to think about multi-level marketing, you're not alone. On one hand, it sounds exciting. Money, freedom, and independence. On the other hand, you're skeptical. 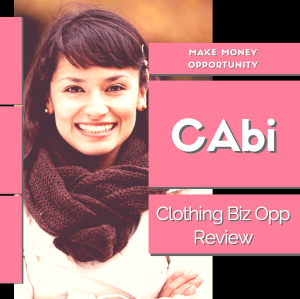 In this CAbi Clothing review I’ll go in-depth and (hopefully) help you decide for yourself… is the opportunity too good to be true? Or is it just a CAbi Clothing Scam? Please note, I am not a member or affiliated with CAbi Clothing in any way. This review has been researched with information and testimonials that are available online in the public domain. Any conclusions drawn by myself are opinions. CAbi is a direct-sales clothing company that specializes in women's work and weekend wear. The name “cabi” stands for Carol Anderson by Invitation. Carol (with her husband Jan Janura) started her own clothing company 4 decades ago out of their garage, and made her first sale to Nordstrom in 1977. For twenty-five years she found success selling to boutiques and high-end department stores. In 2002 Carol was joined by Kimberly Inskeep along with 10 (yes… Ten) of their friends (known as CAbi's founders) and CAbi, as they are known today, was born. Currently, CAbi operates in the US, Canada and the UK, with annual revenue reaching 250 million (2016). Yes, CAbi is a multi-level-marketing company, which may or may not appeal to you. When talking about MLM’s, words like scam and pyramid scheme are common, which I’ll touch more on in a moment. But first, let’s go over CAbi’s compensation plan… which is, for an MLM, relatively simple. Before you can make money with CAbi, you’ll need to invest in them (and yourself). The cost to get started is $2570, which gets you a complete seasonal line of inventory samples. It’s less than some MLM’s, such as LulaRoe, but it’s still a lot of money. CAbi says the reason for the high cost is to make sure only those who are serious join. It’s also important to know that this is a seasonal cost. However, the goal is to sell your previous season’s inventory at a discount, and use those profits as reimbursement for the current season. According to CAbi, if you sell seventy percent (70%) of your seasonal inventory at fifty percent (50%) off, you will earn $3000. That covers the cost of the clothing, as well as some expenses such as fuel, parking, etc. The compensation plan is commission based. You simply earn a commission on your own sales, (which ranges from 20% - 33%)… and you earn commission on your downline sales. Your personal commission (based on your own sales) starts at 20%. However, if you can sell $2500 per month it increases by 5% (for a total of 25%). You also earn an additional 5% on your 1st Tier sales (bringing that rate to 8%). Finally, partnering with Opportunity International and World Vision, CAbi will fund a small business loan for a women entrepreneur in a developing country for every new stylist that joins. If none of this is appealling, you can also make money with things like online surveys with sites like surveyjunkie.com. You can also make money surfing the web, watching videos and playing games with Swagbucks. No... these things won't make you rich or generate passive income, but if you want to make money online, they're a good first step. If you want to make passive income online though, and create peace of mind, building an online business is what you you need in order to get what you want. Now, I'm going to give you a free step by step beginner's guide to create an online business and you can get it by clicking HERE. If you decide that CAbi isn’t for you, or it's too expensive to get started, you can still benefit by being a Host. To earn discounts on clothing; you provide the home with an audience of friends, your CAbi stylist will bring the clothes... and work with you one-on-one to help you define your personal style. For every $250 in sales, you earn 50% off one item. $500 would be two items, $750 for three items etc. At $1000, you receive 50% off 4 times... plus one additional item for a total of five. In addition, you can earn CAbi credits (worth $15 for every $500 spent) which can be used to purchase clothing. And, if you refer a friend to Host her own CAbi Fashion Experience, you will receive 50% off one item. As mentioned above, if the cost of getting started with CAbi is too much or the commitment of joining an MLM doesn't appeal to you, you're not alone. Now, you're not going to retire on survey income, but maybe something simple is what appeals to you and a few extra bucks is all you're really after. Or, if you're still after passive income (and freedom), an online business is most likely the alternative to MLM's you're looking for - something you can do from home on your own rather than selling and recruiting is what you need to get what you want. Is it legit and legal though? How many times have you rolled your eyes when someone offered you a pyramid type “opportunity”? To be completely honest, I’m not fond of MLM’s. For the right person they can be life changing. For most of us however, they’re usually a source of frustration. Your dream lifestyle is shown to you, it’s seems just within reach, and it’s all up to you! The system works they tell you, you just have to work the system. Right? For the vast majority of people (some sources say 99%) the dream comes crashing down under waves of rejection and no-shows. The truth is, building an MLM business is tough. And here’s where it turns ugly. People usually fall into two categories. Those who blame themselves, and those who blame the system (it must be a scam). The first group think, if the system works (as their upline promised)… and that’s what they believe, the failure must be their own fault. That’s a heavy weight to put on someone’s shoulders, because it’s not their fault. The simple truth is that it takes a specific type of person with an uncommon personality, and usually a unique set of circumstances, to succeed at multi-level-marketing. It’s not for everyone… and that’s fine. Not everyone is cut out to be an engineer either, or a paramedic, or a car salesperson. The second group of people who don’t succeed, blame the system. It didn’t work, so it must be a scam! Of course, there are those in the middle who understand that their strengths lie somewhere else (maybe not in sales and recruiting) and they’re fine with that. But still, there’s enough frustration out there surrounding MLM’s that many do consider them to be scams. So... Is It A Scam? The simple answer is “No”. But, the definition of a scam (according to Wikipedia) “is an attempt to defraud a person or group by gaining their confidence”. So, CAbi has the "potential" to be a scam, if the person who is recruiting you makes false claims to gain your confidence with the purpose of getting you to join (and spend your $2570.00). But… to be clear. That does NOT make CAbi a scam. It just means you need to do your research (beyond what your CAbi distributor is telling you). And, trust your instincts. If it sounds too good to be true, it probably is. That doesn’t mean it’s not good… it just means it’s probably not as good as someone is making it out to be. Is CAbi Clothing a Pyramid Scheme? This is a little more difficult to answer. There are specific legal requirements that must be met if you want to stay out of pyramid scheme jail. With a company like CAbi you can be confident that they operate well within the law and are legally not a pyramid scheme... although the organization you build and the way money is distributed is similar to a pyramid. If that doesn't appeal to you, as mentioned earlier, you can make some extra cash with simple surveys online like Survey Junkie. Swagbucks is another site that pays you for doing things like watching videos, searching the web and visiting websites. For a serious income that's not "pyramid shaped" and doesn't involve recruiting, an online business would be more practical. Generating passive income on the web is what you want, and like an MLM (only online), a steady stream of people who could use your help is what you need to get what you want. Now, I'm going to give you a free step by step guide to generating passive income and you can get it by clicking HERE. Check out my number one recommendation. Learn how to earn from home without ever having to sell or recruit a single person. We touched a little on CAbi’s background, and went over how the business opportunity works. But, your customer is the heart of your business and what your customer wants are quality clothes and good service… at a reasonable price. CAbi has a significant collection to choose from, which is updated seasonally. You can buy (and sell) tops, bottoms, dresses, sweaters, jackets, cardigans, shoes, jewelry and accessories such as belts and scarves. Having searched for Cabi Clothing reviews, they range from great to not so great. The truth is probably somewhere in the middle. If Cabi sold cheap, poor quality clothing that fell apart… we probably wouldn’t here right now (me writing this review, and you reading it 😀 ). There would, however, be countless people with complaints, and a ton of negative reviews. But that’s not the case. Many of the negative reviews are related to poor customer service (which I’ll talk about more in a moment) rather than the clothing. But, for a company with sales in the hundreds of millions, a few unhappy customers are to be expected. Not something they're proud I’m sure, but managing a company of CAbi's size (and keeping everyone happy) is probably a challenge. While their collection might not meet the standards of some (those who can afford the finest clothing money can buy), if you’re thinking of becoming a host or stylist, the quality of CAbi clothing shouldn’t worry you. In addition to the positive reviews (example’s below), popular fashion bloggers such as Paulina Mo and Jenn Rager have had good things to say about CAbi. And, just to be fair... the negative reviews are out there as well. As far as pricing goes, it’s subjective. It’s not the least expensive, that’s for sure. But everyone has their own ideas as to what a reasonable price is. Some people wait for sales and rarely spend more than $40 or $50 on any article of clothing (except maybe a jacket). Others might think a $150 top is just average. What’s important here is that you know your customers. And, if CAbi prices are a little higher than your customers are used to, it’s the service you provide and the convenience that makes the difference. The key to success at anything in life, in my opinion, is enjoying what you do. That’s not to say you can’t succeed at something you don’t enjoy… but even if you’re the best at it, but you hate doing it... then it's not really success, right? Usually though, if we don’t like doing something, we give up on it long before we succeed at it. At the very least, we may go through the motions. But, we'll never be great at it. The same is true in multi-level-marketing. I mentioned earlier that many people blame themselves when they don’t make it in this type of business. But the truth is, they just don’t like doing it... which is perfectly okay. Sales… and especially recruiting (into a “pyramid” type business) is just not something most people want to spend their evenings and weekends doing. Rather than struggle and force yourself to go through the motions of something you're not really into... find something you love to do and give it everything you can possible give. If you’re an outgoing person, have some sales experience and enjoy talking to people, CAbi might just be that thing you love. If you’re also in a unique situation that gives you access to a lot of people (maybe you own a yoga or dance studio for example), even better. At the end of the day, only you know what is right for you. CAbi is a significant investment, and you’ll want to be honest with yourself before spending your money. I spent a couple years building an Amway business (in the 90’s) until I finally admitted to myself, I didn’t want to do it. Having also spent roughly ten years doing outside sales, I had to accept that it was making me miserable. I should have been spending my time doing something I enjoyed. Now that I build online businesses, I’m much happier. So, getting back to my original point... the key (I believe) to success is enjoying what you do. It has to be fun even when its tough. Even when you’d rather be doing something else. If sales and multi-level-marketing is your thing, CAbi is certainly a business worth considering. Especially if you also have a “passion for fashion”. If it’s not… if you’re more of a “home-body” or you just enjoy your alone time (as I do), I’d recommend an online business. 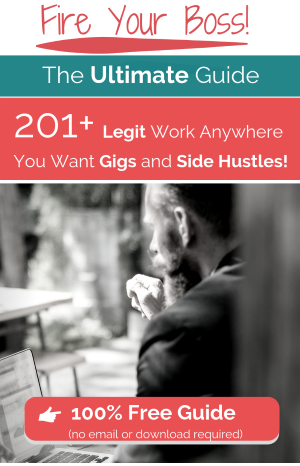 You can lose yourself in any niche or topic you’re passionate about and still earn a comfortable living from home (or anywhere else for that matter)... never having to sell or recruit a single person. How To Sell CAbi Clothes? Note: I’m not endorsing this video. It’s for informational purposes only. So, your primary method of selling CAbi clothing will be offline… home parties, trunk shows, and pop-up boutiques for example. If you’re comfortable with it, your first step should be to approach family, friends and co-workers. Beyond that, you can talk to people at your church, gym, community center etc. If you have children you can also approach other parents at school, soccer practice, dance etc. Another great strategy would be to partner with local businesses. A gym or yoga studio for example. One big advantage to building an MLM today (unlike the 90’s when I was with Amway), is the web. First, you can use it to find and contact old work colleagues, schoolmates and friends you may have lost contact with. Second, you can actually sell products online. A word of caution here though. If you do choose to sell CAbi online, be careful not to sink a lot of time and effort into a strategy that leaves you completely dependent on CAbi. For example, if you have a website that includes CAbi in the name or even worse... your domain name, it's going to be difficult to change direction (or suppliers) if at some time in the future you decide CAbi isn't for you. With site that's found at chiccabistylist.com your're kind of stuck with CAbi. On the other hand, if you start a fashion, a lifestyle or even a relationship blog with CAbi being just one category or topic, you're setting yourself up for the future. MLM’s often have strict rules about how you can market their products online, so you’ll want to speak to CAbi and read all of the fine print first. By building your business this way though, you’re not going to be stuck with CAbi forever… and you won't have to start over from scratch if (for whatever reason) you decide to quit or go in a different direction. Also, the purpose behind doing this on you own blog (rather than your Facebook page for example), is so that you’re also NOT dependent on a single social media platform such as Facebook (or Twitter, Pinterest, YouTube, Instagram, etc.). People have spent years building social media followings only to have them wiped out by a policy or privacy change, an account suspension, or algorithm update which stopped showing their posts, comments and videos to their audience. Social media is great for bringing people to YOUR platform (your blog), but not so great if you’re entire online presence is dependent on social media. They have a large and diverse collection. Whether buying or selling CAbi, you won't feel confined to a narrow line of products. CAbi has been in business since 2002 and is still going strong. Also, Carol Andersen (CAbi’s original co- founder) has been in the fashion business since the mid-1970’s and, although I’m not certain how involved she is today, would have shared her wealth of experience with CAbi’s current founders including CEO Lynne Coté. The CAbi foundation and their contributions to entrepreneurial women in developing countries. Like most MLM’s, CAbi is better suited to someone who is naturally outgoing, loves talking to (and being around) people, and is exceptionally charismatic. That doesn’t mean someone who isn’t outgoing, or doesn’t know many people can’t succeed. But it will be more challenging, especially if you’re fighting a natural tendency to sit back and enjoy a social situation, rather than be the center of one. Not a fan of recruiting. Similar to the point made above, CAbi makes recruiting a significant priority unlike some of the newer MLM’s that are limiting their onboarding process and focusing more on sales. For many reasons, whether it’s market saturation, recruiting your own local competitors, or just annoying your friends and family… a constant focus on building your downline can have detrimental effects. While CAbi says the higher cost of entry is to make sure only women who are serious will join, it also means this opportunity is out of reach for many. If you’re a college student for example, hoping to earn a part-time income, CAbi might be too expensive to join. There are other MLM’s that cost less, or… if recruiting is not your thing, you can make money online. Ultimately, the CAbi opportunity depends on you. As I mentioned earlier, success in multi-level-marketing requires more than simple persistence and effort. Not every opportunity is for every person… nor is every job suited to every person either. People have diverse talents, skills, experiences and circumstances… and only you can decide if your’s align with CAbi's and the multi-level-marketing lifestyle. When I say it depends on you, I mean… it depends on whether or not it is FOR you. If it is (and you can afford it) CAbi is certainly worth considering. I do believe, in today’s world, that pursuing an entrepreneurial path is important… if not necessary. If sales, and recruiting are not your thing, my recommendation would be to build your business on the web. Educational programs like Wealthy Affiliate offer free tools and resources that can take you a long way to getting started. Sometimes all you're looking for (or all you have time for) is earning some extra spending money which you can do online with surveys like Survey Junkie. "Get-paid-to" sites like Swagbucks is another place you can earn money doing things like testing the usability of websites and watching videos. Real income earners can start an online business if multi-level-marketing isn't their thing. A formula that generates steady income online is what you'd want if passive income interests you. I'm going to give you a free step by step guide to generating passive income online and you can get it by clicking HERE. If you have any questions, comments or even a review of your own, please don’t hesitate to share in the comments section below. Yout comment regarding college students wanting to earn part-time income does not apply, as they would not meet cabi’s age requirement of 25 and older. Exceptions to this rule are rarely made, as cabi (rightfully) believes you need to have already established some semblance of a network in order to successfully launch your business. Another reason for a slightly higher barrier to entry is that cabi invests a fairly significant amount in training all their stylists on an ongoing basis, and new stylists receive a starter kit with some essential tools at no additional charge. Thanks for the heads Meghan, and sorry for the late response… it must’ve slipped through the cracks 😮 I really appreciate your insight though as will others who read it I’m sure. Thanks for your post. It’s confusing for newbies because we don’t know where to start. There are a lot of scams out there or programs that are just no good. MLM is a tough way to go. I know someone that made money doing this but I agree that you need to be a certain type of person. This article helps us not fall victim by giving us a bit more info. Everyone promises the moon. Every time I look online for an idea to make money I discover something new. 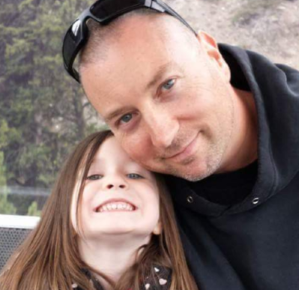 I think that making money online or from home is harder than its advertised. Hi Dave, thanks for stopping by. You’re absolutely right. Making money online is definitely harder to do than advertised… but to be honest, it’s easier than working a job you hate for 20 or more years. It’s definitely worth the hard work. Also, the fact that it’s tough works to our benefit because the longer you keep going the more your competition falls off and you set yourself apart from the pack. Online however, it’s just about hard work… you don’t need any special talent or abilities.